Simple and easy as a warm summer afternoon. 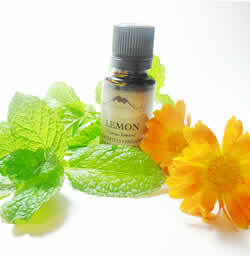 The combination of lemon and mint makes a great summer cooling body spray and/or facial toner. Recipe Instructions: Balms/Salves :Pour 1 cup boiling water over the peppermint leaves turn off the heat and steep in a covered container until cool. Strain. Add witch hazel and lemon oil.